The oldest known glass production factory in Israel has been discovered on Mount Carmel. High-res photos are available here. A new study by Tel Aviv University points to widespread literacy in Israel in 600 BC. Christopher Rollston offers a summary and reflections. An op-ed at the Jerusalem Post is entitled “Holy Shards.” The academic article is available to subscribers here. Three Palestinians were arrested attempting to smuggle a statue of Herod’s wife Mariamne. A photo of the statue is here. 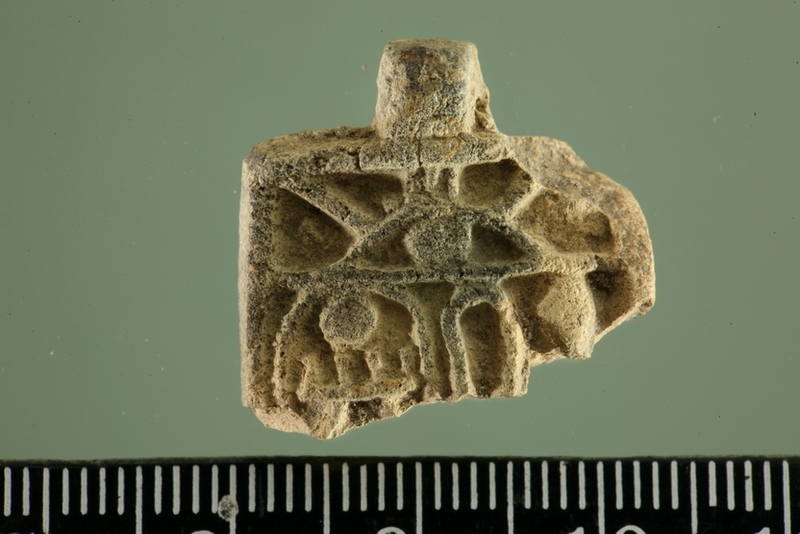 The Temple Mount Sifting Project will soon be announcing the discovery of a pendant with the cartouche of Pharaoh Thutmose III. The Big Picture returns to Palmyra. Dubai's plans for the world’s tallest skyscraper are inspired by the hanging gardens of Babylon. Wayne Stiles goes to Ein Harod to learn how to move from fear to faith. Yale’s “Old Babylonian Period Mathematical Text” is one of the university’s most-reproduced cultural artifacts. The Iraqi government is turning Saddam Hussein's palace in Basra into an archaeological museum. With Passover around the corner, Haaretz looks at indirect evidence of Israelite presence in Egypt before the exodus. A Passover sacrifice event will be held on Monday on the Mount of Olives. Luke Chandler notes that the official website for the Khirbet Qeiyafa excavations has been updated. The summer excavation of Khirbet el-Maqatir is on and applications are being accepted until April 30. Ferrell Jenkins and Leon Mauldin are traveling around Israel and sharing photos from their trip. Filip Vukosavovic has resigned his position as Chief Curator at the Bible Lands Museum Jerusalem. Now free online: The Bible in Its World: The Bible and Archaeology Today, by Kenneth A. Kitchen. Many people liked the photo we shared this week on Facebook and Twitter of the Mount of Olives before the churches were built. Archaeologists working at Magdala have discovered a bronze incense shovel and a bronze jug. The press release includes a 1.5-minute video. The shrine over the traditional tomb of Jesus will be dismantled and rebuilt in the coming months. Maybe one of these days they’ll get around to moving the ladder. Archaeologist Ram Buchnik believes that the Romans influenced ancient Jewish ritual slaughter. Israel21c has a roundup of recent discoveries made in Israel by hikers, including more details on the discovery of the gold coin. Shmuel Browns shares some beautiful photos of sinkholes at the Dead Sea. A New York Times reporter has visited Palmyra and published a photo essay. Note Paleojudaica’s warning before you click the link. Daily Mail has a look inside the Palmyra Museum and it's not pretty. “What’s new in ancient Cyprus?” is the subject of a forthcoming study day at The British Museum. Tent Work in Palestine, by Claude R. Conder, is available as a free pdf download at the Biblical Archaeology Blog. Who was the real life archaeologist behind the character of Indiana Jones? Egyptian officials are unhappy after finding a star of David engraved on an ancient temple in Aswan. Luxor Museum will allow photography of its exhibits, for a time, for a fee. Wayne Stiles explains how Jesus’s healing of the lame man at the Pools of Bethesda shows how God's kindness motivates repentance. Eli Ofir has recently launched Holy Land Portraits, a collection of beautiful, high-quality prints of sites in Israel drawn as if in biblical times. Archaeologists have identified the oldest known quarry in Israel at Kaizer Hill near Modiin. Some radar experts doubt the existence of hidden chambers in King Tut's tomb. Another scan was done yesterday, but results will not be announced for at least a week. Luxor Times has photos of the scanning operation. Mosaics from the Roman Empire, depicting scenes from mythology, daily life, nature, and arena spectacles, are on display at the Getty Museum through September. The exhibit catalog is available for free online. Joseph Aviram, president of the Israel Exploration Society, recently celebrated his 100th birthday! A German doctor has returned a rare coin that he found in Jerusalem 25 years ago. A video of the memorial service and academic symposium for William W. Hallo is online. Wayne Stiles was robbed last week on the Good Samaritan Road and he learned an expensive lesson. An article in Haaretz tries to debunk the "biblical" notion that the Philistines were crude barbarians. But perhaps it's worth noting that the Bible doesn't make the Israelites look very good at times (e.g., Judg 19; Jer 5; Ezek 16). Archaeologists now believe that Tell Qudadi, a site in Tel Aviv, was a Neo-Assyrian fortress built in the late 8th century. The final excavation report has all of the details. With the recapture of Palmyra, the Syrian antiquities director estimates that 80% of the site's ruins are intact but damage to the museum is "severe." The Syrian government is planning to restore the site. Paleojudaica has more its Palmyra roundup. Iraq is struggling with the looting of archaeological sites. The Daily Tar Heel carries a brief interview with archaeologist Jodi Magness. Heavy rains led to the closing of Petra, but adventurous tourists headed north to Little Petra. The Temple Institute is searching for priests qualified to perform animal sacrifices. Tom Powers has an interesting and well-researched post on the visit of the Graf Zeppelin to Jerusalem.